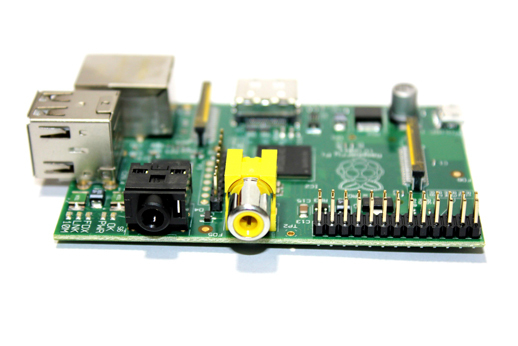 After months of waiting just to be able to order it, and more months waiting for the device to ship, we finally were able to get a Raspberry Pi. 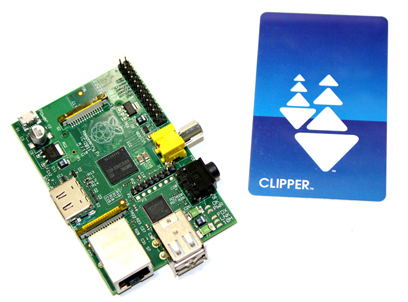 If you do not know what a Raspberry Pi, it is a computer that is the size of a standard credit card (85.60mm x 53.98mm x 17mm). Though the device was intended to get kids to programming, the device is widely used of various ages for many different reason. 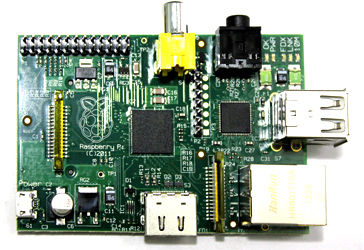 There are two versions of the Raspberry Pi, model A and model B. Model A has a Broadcom 700 MHz Broadcom BCM2835 system on a chip (SoC), 256 megabytes of RAM, VideoCore IV GPU, HDMI, composite (yellow) video, audio out, GPIO connector, USB port, and a SD card reader/writer (for loading the system). Model B has all of the features of model A plus an additional USB port and a RJ45 Ethernet port. It has a power requirement of 700 mA through a micro-USB cable. It is able to handle many things of a typical computer: run programs, view and edit office documents, and play video in HD. 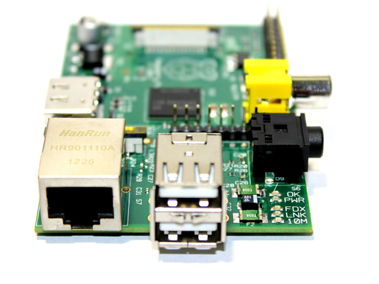 Some of the operating systems the Raspberry Pi supports include a Debian Wheezy port for the Raspberry Pi, Raspberry Fedora Remix, Gentoo Linux, Free BSD, Arch Linux, Android Ice Cream Sandwich, XBMC, IPFire, and Puppy Linux. 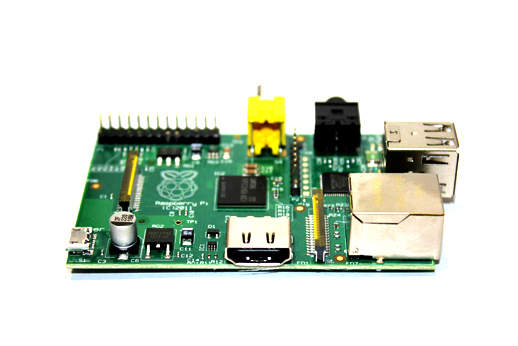 We received the model B of the Raspberry Pi. What you get is just the board. It does not come with a case (as of right now, the second batch will be offered a case, though you can see various forums that has created their own case), cable, power, SD card, keyboard or mouse. At the time of this writing, the organization is planning on a camera adapter through the GPIO connector but it is not out yet. When running some builds for the Raspberry Pi, it is pretty responsive and plays video nicely with the built-in h.264 decoder. The downside is that there are only two USB ports on the device, which means that a powered USB hub is needed to add more than just two USB devices. Additionally, if you want to run USB devices that take a lot of power (USB hard drives, Wifi, Bluetooth, wireless, etc), you will also need a powered USB hub to run it. Though for $35, it is still worth it. Overall, the device has a lot of potential. With the device costing at most $35, it is almost impulse buy. Right now we are seeing the device used in many different ways, which include: media center mini PC, firewall, DSLR photos transferring to iPad on the fly, Android, smart glasses, the list goes on. The embedded graphics decoder makes decoding video very nicely with an option to additionally unlock MPEG 2 decode for around $3. The Raspberry Pi cost $25 for the model A version and $35 for the model B version and you can check the Raspberry Pi’s website to help you get one (though it will be a long time to get one as none of their partnered stores have any in stock).